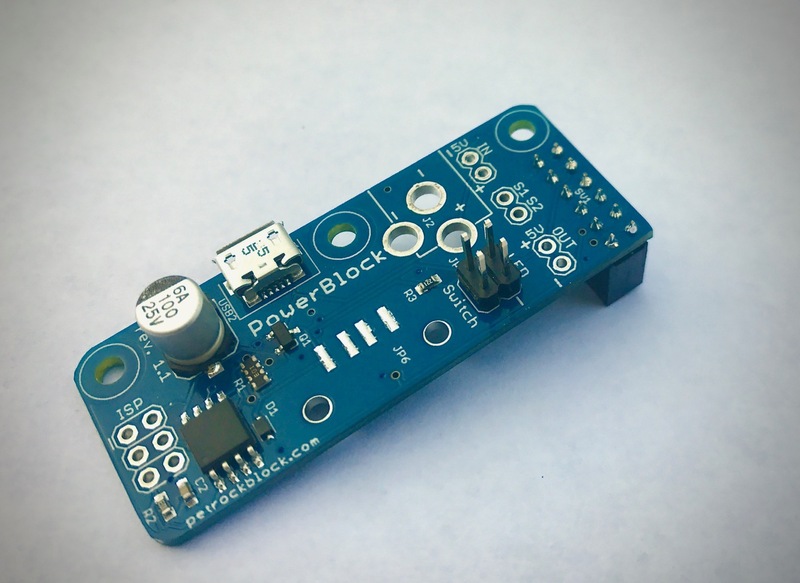 The PowerBlock is a Raspberry Pi Power Switch. 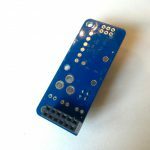 It is an extension board for your Raspberry Pi™. 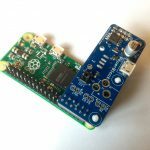 It allows you to conveniently turn on and off the power to the Raspberry Pi with a toggle switch. Instead of just cutting the supply voltage with the risk of data loss the PowerBlock it communicates with the Pi and ensures a clean shutdown when the switch is turned to off. 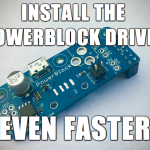 The PowerBlock comes fully assembled with open-source drivers that are easy to install. If you are interested in getting the PowerBlock for your project, it can be ordered here. 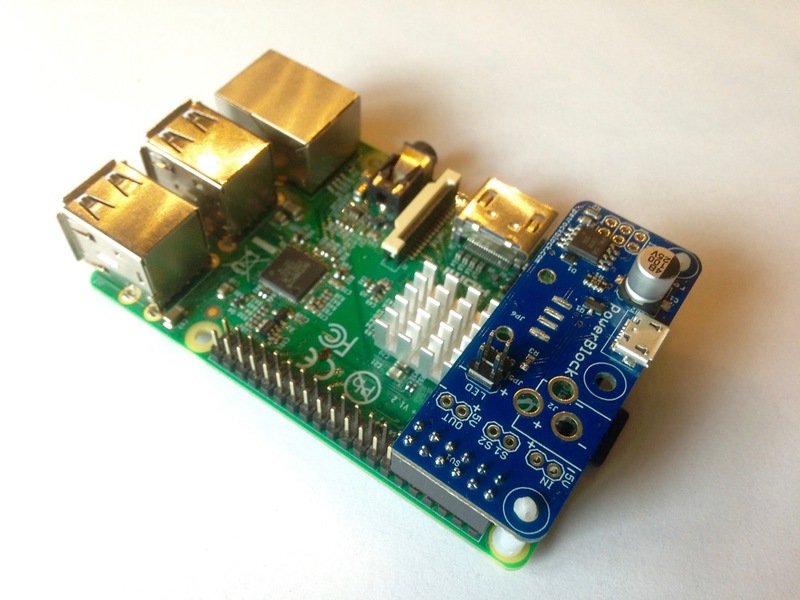 The PowerBlock provides a Raspberry Pi power switch functionality. Why is it useful? 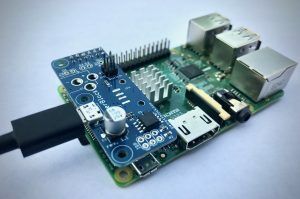 The Raspberry Pi comes without a power switch. 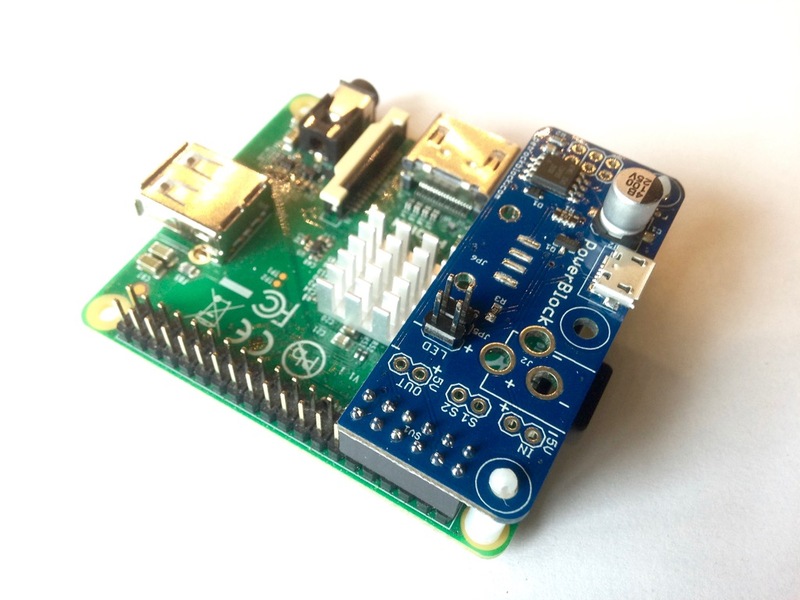 As soon as you plug the micro USB cable into the RPi, it turns on. 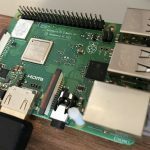 If you want to shutdown the Raspberry Pi, you need to call a shutdown command to bring the system into a state in which you can safely remove the USB cable again. If you just pull out the micro USB cable the file system of the RPi might become corrupted and you risk loosing data. Here, the PowerBlock comes into play. 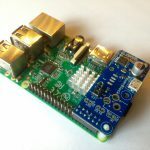 It is stacked onto the GPIO header of the Raspberry Pi and provides a micro USB connector itself, a connector for a toggle switch to control the power supply of the Raspberry Pi, and a connector for an LED to indicate whether the Raspberry Pi is off, booting, running, or shutting down. 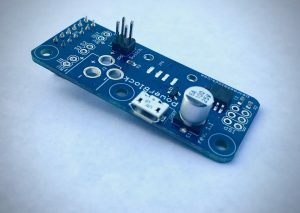 A micro controller on the PowerBlock board manages the power supply and monitors the button state as well as the state of the Raspberry Pi. The driver ensures that a safe shutdown is initiated when you switch to “off”. This also means that you do not need to plug and unplug the USB cable from the Raspberry anymore if you want to completely and safely turn it off. 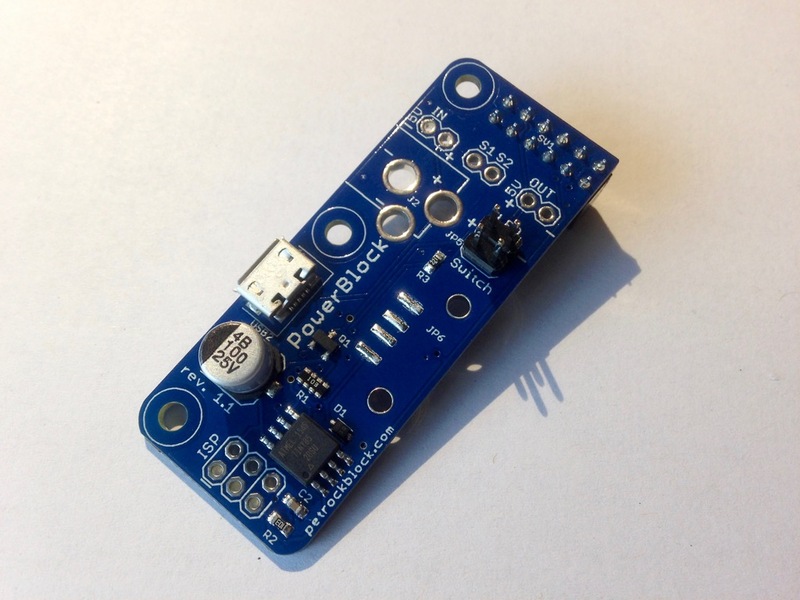 The PowerBlock PCB is attached to the Raspberry with a 2×6 pin female header. 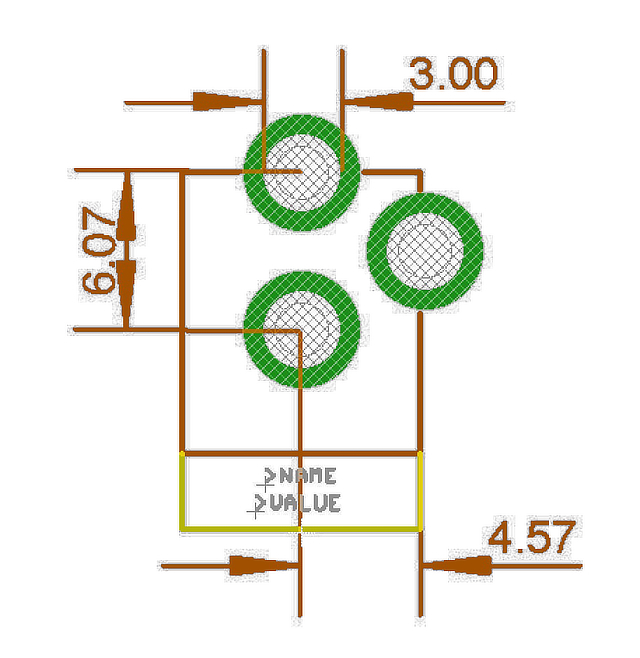 This header makes use of pins 1 to 12 of the J8 header. This header is used for connecting the voltage and ground pins as well as the status pins between the RPi and the PowerBlock. 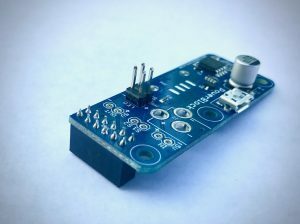 The PCB is kept as small as possible so that you can easily access all other pins that are not used by the PowerBlock. 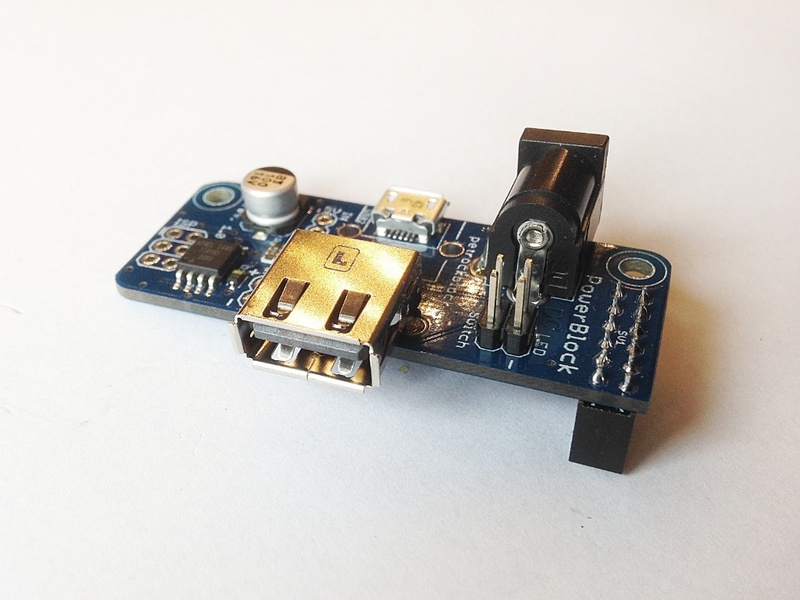 The PowerBlock has the same USB Micro connector as the Raspberry Pi. 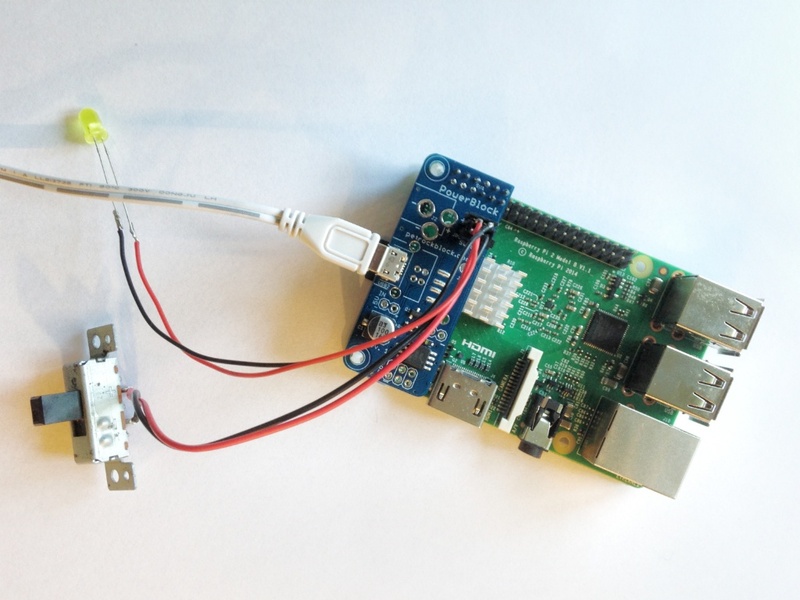 That means you can simply use your existing USB Micro cable for powering the RPi. 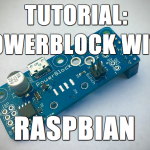 To control the power state of the Raspberry Pi the PowerBlock provides an interface for attaching a toggle switch. 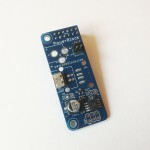 The on-board microcontroller monitors the state of that switch as well as the one of the Raspberry. The current power state of the Raspberry Pi can be indicated with a 5V status LED that can be attached to the two pins that are provided by the PowerBlock. A 220 Ohms resistor limits the current of the status LED. You will find a load variety of possible LEDs that fit these values. You can find one here. These possible states can be “off”, “booting”, “on”, and “shutdown”. The different states are indicated with easy-to-distinguish static and pulsing patterns. 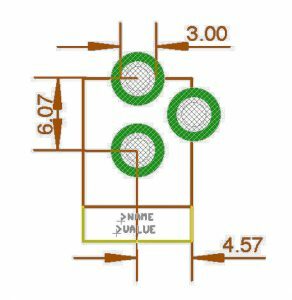 Side note: The maximum allowed output current of the status LED pin is 40 mA. 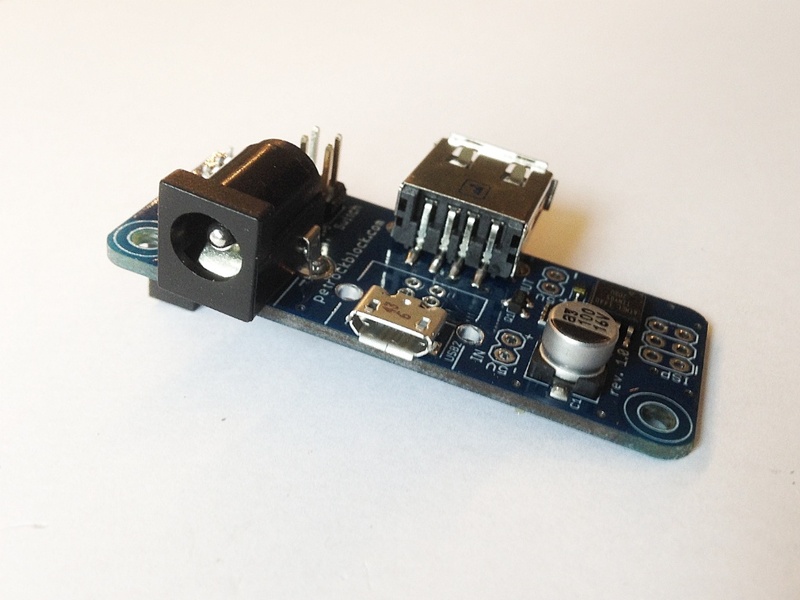 The Power Switch logic is implemented with the help of an Atmel ATtiny85 microcontroller. 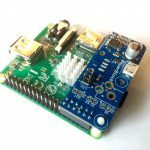 If you want to you have the possibility to access the microcontroller with the ISP header. In this way you could reprogram the microcontroller with whatever functionality you like. One DC Barrel Jack that matches these dimensions can be found here. If you want to provide a switched 5V voltage to another device, you can solder an optional USB A connector to the PowerBlock – it is prepared for that as well. 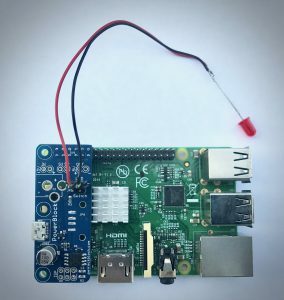 You need to connect your micro USB cable only to the PowerBlock – and not to the Raspberry Pi directly. 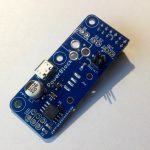 Alternatively to the micro USB connector you could also use the 5V and GND input pins for power supply. 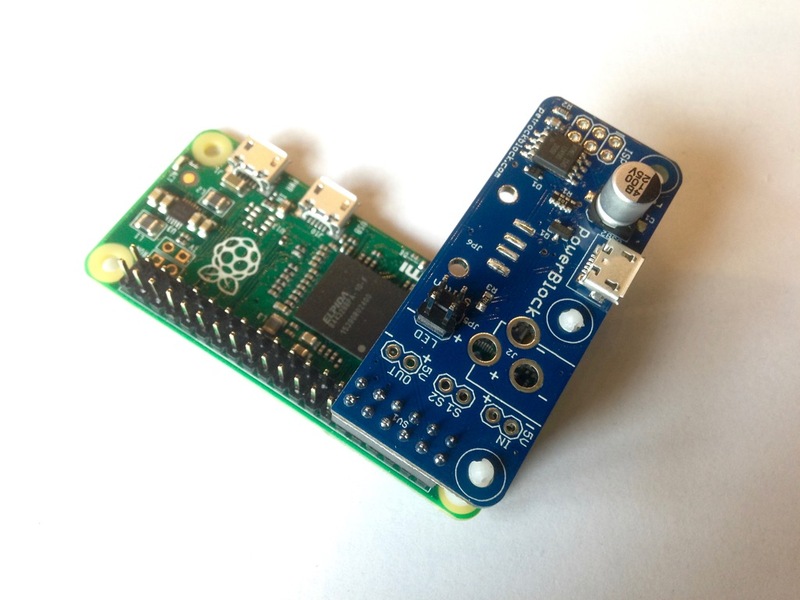 To turn the Raspberry Pi on and off with the PowerBlock you need to attach a toggle switch to the two button pins on the PowerBlock. How does the PowerBlock work then? 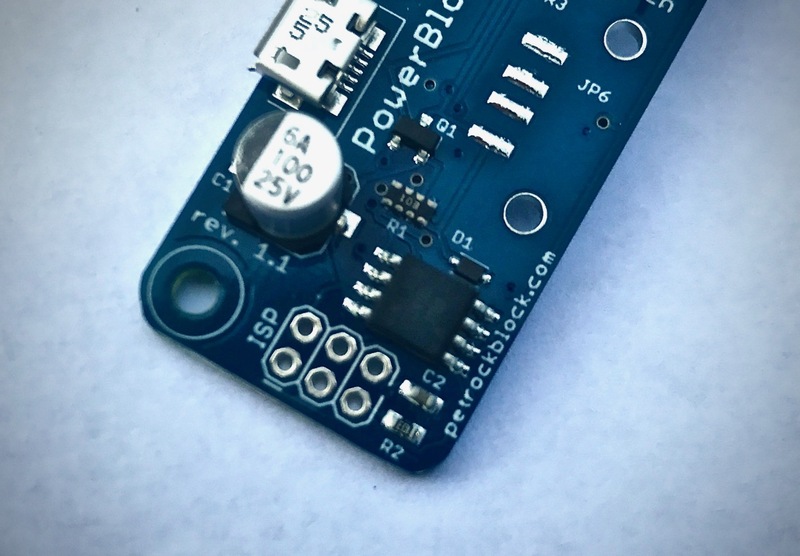 Technically speaking, the microcontroller on the PowerBlock looks, if the two pins of the switch are connected or not. If they are connected, a GPIO pin of the microcontroller on the PowerBlock is pulled to GND and interpreted accordingly. 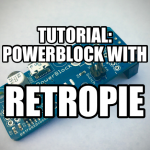 It is important that you use a toggle switch and not a momentary button with the PowerBlock. Otherwise the Raspberry Pi will be turned off again right after booting. 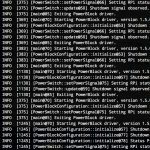 If you do not want to use the power switch functionality you can disable this in the configuration file /etc/PowerBlockconfig.cfg by setting “powerswitch”: false. The power switch circuitry of the PowerBlock leads to a tiny voltage drop and we made the experience that a good quality power supply and a good quality USB cable are mandatory for a working setup. 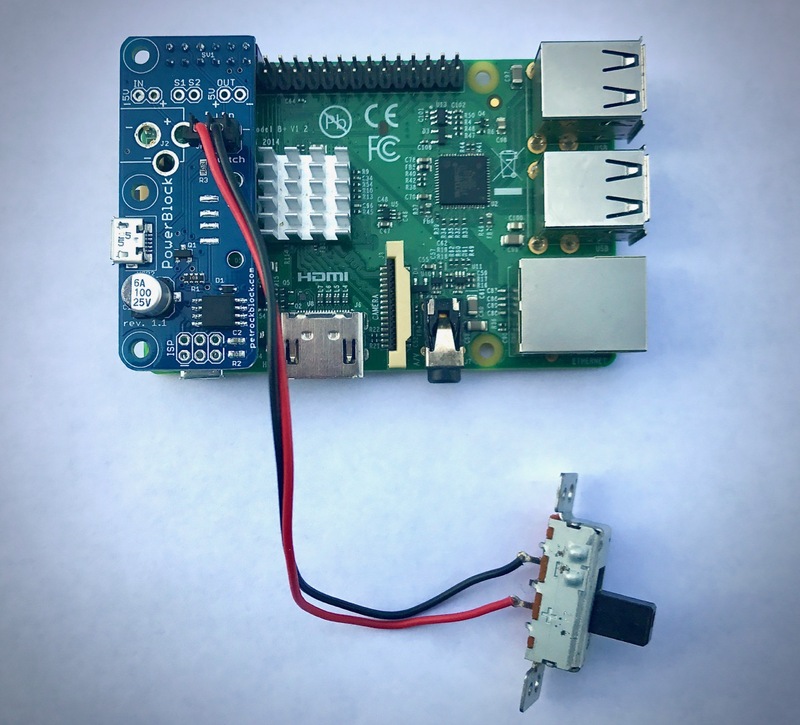 If unsure, we can recommend the official Raspberry Pi Power Supply. 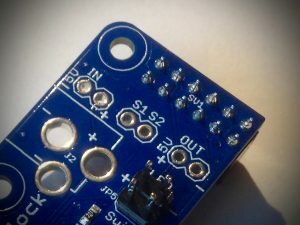 The PowerBlock has pin outs for an optional status LED that indicates the power state of the Raspberry Pi. 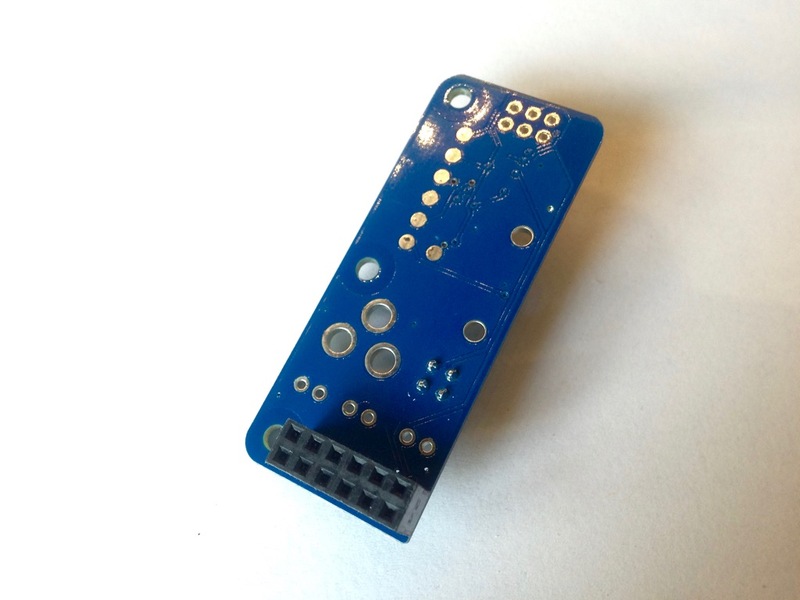 You can directly attach an LED to the pins that are marked with “LED”. You need to pay attention to the polarity of the LED: The LED pins are marked with “+” and “-” for that. 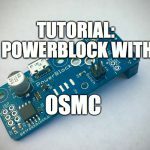 You need to install the PowerBlock driver to enable the power switch functions. You find detailed instructions for the driver installation here.